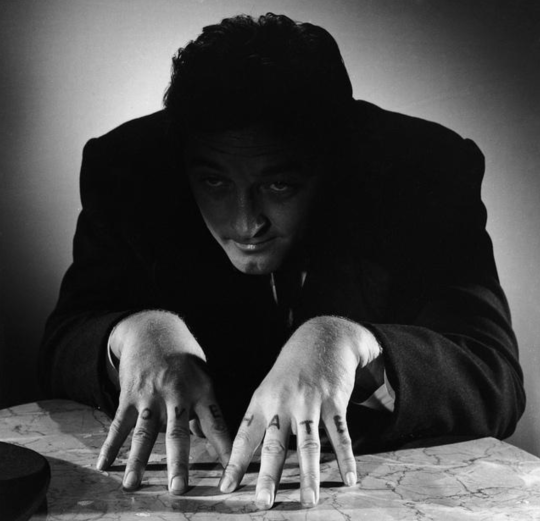 When actor Charles Laughtons now-classic directorial debut The Night of the Hunter premiered in 1955, itd been a long road to the theater. The film had been in the can for a while, but the studio balked at its premise and execution: Was it a romantic drama or a horror film? A childrens fairy tale or adult entertainment? Marketing materials from the time suggest they never quite figured it out. The studio tried to bury it, but Laughton desperately wanted to go in a different route, traveling the country with his movie to build word of mouth the same way he worked in theater. Anyway, the film was largely forgotten or ignored until its rediscovery in the 1970s, when it was hailed a work of great genius. But that didnt help Laughton, who passed in 1962 and never directed another film. This brings me to the late Bill Paxton. Hed always considered himself a filmmaker, never an actor, though hed appeared in some of the most successful films in American history, including Aliens, Apollo 13, The Terminator, True Lies, Tombstone, and so many others. He moved from Texas to Los Angeles at the age of 18, applied to two film schools, and got rejected from both. 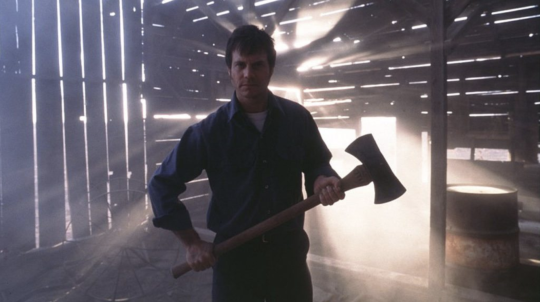 Acting, to Paxton, wasnt a career path but a last resort to working in the movie business. Finally, eventually, he was able to direct his first film, Frailty, a dramatic thriller starring Paxton himself and Matthew McConaughey, about a man who believes he was told by God to kill demons disguised as humans, and the two sons who wonder if their father is going insane. The films release was scheduled for September 2001. Then, of course, it wasnt such a fun time to see misguided men murdering for their beliefs. The film was pushed to April of 2002 but was buried just as deeply as Laughtons was, with relatively positive but not stellar reviews. This film, too, could not find a home. Not violent enough to be a full-on horror film, too suggestive for families, and both critical and embracing of religion, Frailty seemed to be a movie of too many paradoxes. Even now, its difficult to describe this film, which could either be about a serial killer or a savior, depending on how you look at it. Of course, Paxton, who played the touched-by-God father Meiks, felt it was clear that his character was an Old Testament hero, though even that qualifier does not answer the question of whether or not Meiks was good. Its worth noting that Paxton and Laughton lived parallel lives of sorts. Both were character actors, oscillating between the evil or fatherly and somehow exceeding equally at both, which may speak to the actors religious backgrounds and subsequent rebellions against thema performer who can sense the struggle between good and evil in their characters is a successful performer. Both men had mothers who were devout Roman Catholics and fathers who were ambivalent to the Bible. Laughton, as evidenced in his film, felt a certain amount of antipathy for the churchhe was in the closet for most of his lifeyet was still soaking in its parables and finding some value there. Paxton as an adult adopted an attitude somewhere between his Catholic mothers and Pagan fathers, a dash of the genuine and the cynic. 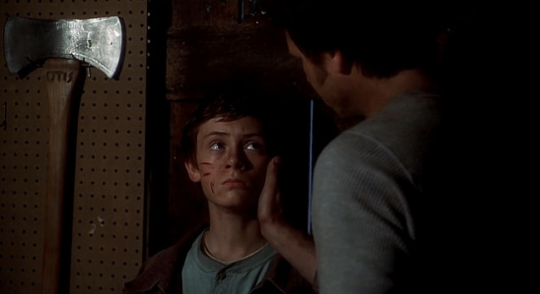 And just like Laughtons film, Frailty is steeped in Christian lore. (Laughton also almost played the lead role of the Preacher in his own film, before his producer talked him out of it.) Both actors, it seemed, had something they desperately wanted to say about faith and could only do it as directors. But aside from these parallel lives and desires, theres a more direct correlation between the two films.